Taking up hospitality management courses can lead you to some exciting and vibrant job profiles. While the general stereotypical mindset regarding hotel management might be quite limited to just that –hotel management, it’s actually a much broader field. So, if you plan on enrolling in a hotel management course be rest assured that there isn’t a set route forward from there, your options will not be limited, but quite endless, on the contrary. No doubt, the course will be strenuous and you’ll really be put to the test, but at the end of the day, when you leave with multiple job prospects –you’ll definitely be happy about the decision to sign up for a hotel management course. Especially considering the scarcity of jobs out there, hotel management is a field wherein doors are always open –literally! So relax, let’s take a look at some of the possible career paths you could opt for upon the completion of your degree in hospitality management courses. 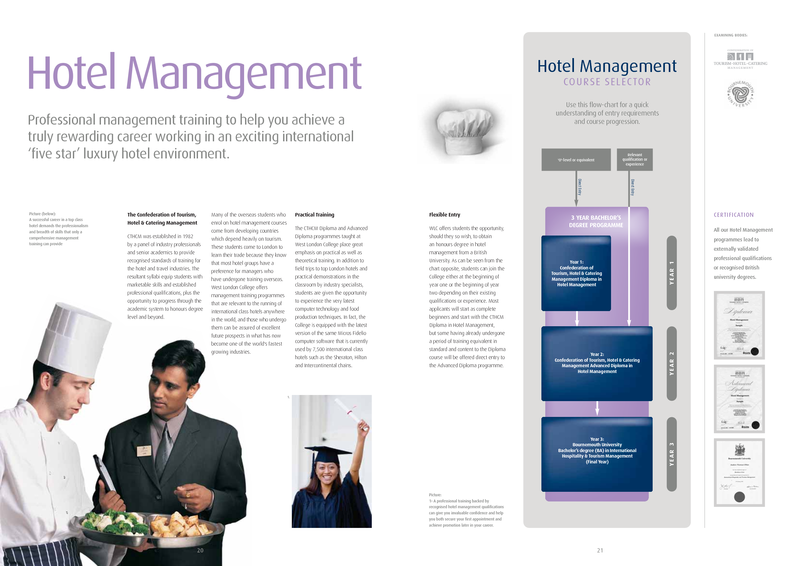 To begin with, hotel management institutions will have placements ready for you –with different categories of hotels. Now, at a hotel, you can go in for one of a variety of profiles at different departments ranging from Front Office, Housekeeping, Food and Beverage Service and Food Production etc. The stream you opt for would depend on your area of interest, knowledge, skills and specialisation. Now, this doesn’t have to be limited to hotels, but could also expand to cover restaurants. Next, you also have the scope to enter the airline industry. With the same principles of hospitality, the airline industry can offer various interesting job prospects. You could also enter the world of retail, or perhaps even venture into teaching! But one of the most interesting things one can do (given you have the capital for it) is to become an entrepreneur! Open up your own restaurant, or a consultancy firm for hotel and restaurants… The world is your oyster!